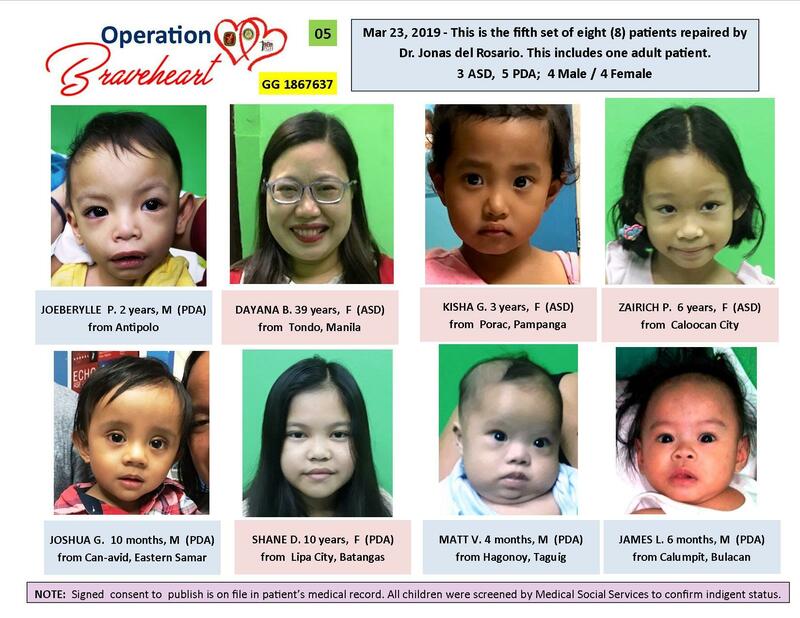 just heard from Dr. Jonas del Rosario who sent me pictures of another seven children repaired since my last report. This puts the total number of Operation Braveheart II patients repaired to 45. At this juncture, we have reached the mid-point of Braveheart II. We hope to repair another 45 patients depending on the patient mix (PDA/ASD/VSD). We will stretch the dollars as much as possible to maximize the number of patients we reach. Jonas anticipates that by August of this year, he will have repaired all the patients that our funds will allow. Attached is the 5th collage I put together of patients #33 - #40. I will bring this collage to our Club meeting this Tuesday.